Welcome to the second episode of our two-part series with Nate Lipton from Growers House. In last week’s show, we went live on the mic as I got a full, behind-the-scenes tour of the warehouse, and this time, we’re headed into town to grab some pizza and drinks to talk even more about how he does things. We cover the online community he has created and its impact on his business, how he gets his employees excited to do good work, his approach to delegating, and more. Andrew is the founder of eCommerceFuel and has been building eCommerce businesses ever since gleefully leaving the corporate world in 2008. 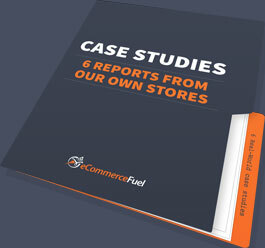 Join him and 1,000 vetted 6 and 7-figure store owners inside the eCommerceFuel Community. Learn how I built (and sold) numerous 6 and 7-figure stores. No fluff. Just proven strategies and advice from my time in the trenches. Learn how I built (and sold) numerous 6 and 7-figure stores. No fluff. Just proven advice from my time in the trenches. Boring Products? No Problem. How to Write Compelling Copy for Anything.